Last week Disney's D23 Expo took place in Anaheim and it included an assortment of amazing events and reveals. 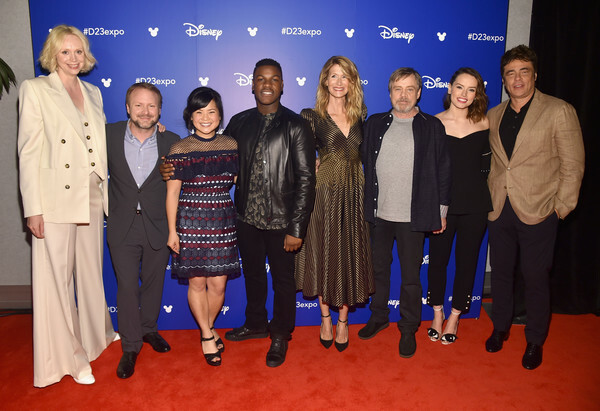 One of the most exciting things to happen at the convention was the appearance of the cast and director of Star Wars: The Last Jedi on stage, who were there to introduce a stunning behind the scenes reel from the film. Of course, while the group was there they participated in a number of interviews with various sources, including Good Morning America, Access Hollywood, Extra, Jimmy Kimmel, and more. Star Wars: Episode VIII - The Last Jedi opens in theaters on December 15th!